Wazoo at Tampa's Lowry Park Zoo, It's Almost Here!!! Wazoo at Tampa&apos;s Lowry Park Zoo, It&apos;s Almost Here!!! Hello Tampa Bay, It’s Jodi with an update on one of the “10 Great Beer Festivals in the Country”, WaZoo at Lowry Park Zoo. 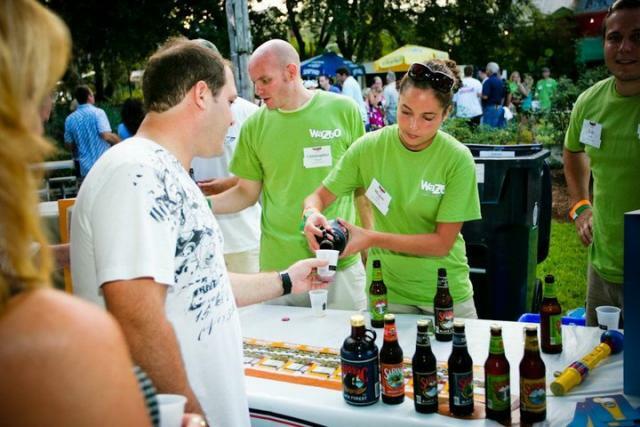 WaZoo features more than 220 beers from all over the world, including large breweries and local microbreweries, along with gourmet food and live, local music. Make sure you head to Lowry Park Zoo this Saturday for a great night of specialty brews, delicious food, and wild fun starting at 7:30pm. For the VIP experience, look into the Dos Equis Beastly Beverage Club (BBC) for a behind the velvet rope experience at WaZoo. Not only will you have exclusive access to the Zoo’s Safari Lodge event facility but you will also be able enjoy WaZoo longer with early entry at 6:45pm. Also appearing at the BBC will be the Most Interesting Man (or Woman) in Tampa Bay. This contest will pit thousands of men and women head to head in a YouTube battle for the title of “Most Interesting Man (or Woman) in Tampa”. The Grand Prize winner will be at the BBC along with 9 of their closest friends. Maybe you can meet the Most Interesting Man (or Woman) in Tampa at WaZoo. WaZoo is your chance to have fun and go wild in a truly exotic setting. Enjoy your beer as mix and mingle with thousands of your closest friends and meet some of the stars of the zoo at the same time. WaZoo is an important fundraiser for the zoo, its proceeds benefit animal care and education programs at Lowry Park Zoo, a private nonprofit organization. Lowry Park Zoo is world-renowned for their work with wildlife, most notably their Hospital and Rehabilitation Center for Manatees. At WaZoo, you’ll be having fun and supporting a great cause as well. Tickets are $56 per person in advance or at the door for $65 per person. BBC tickets are $75 per person and must be purchased in advance. Tickets are available online at lowryparkzoo.com or by phone at 813-935-8552 ext.276. Ask about special pricing for Designated Drivers. At WaZoo, you can truly go wild responsibly.